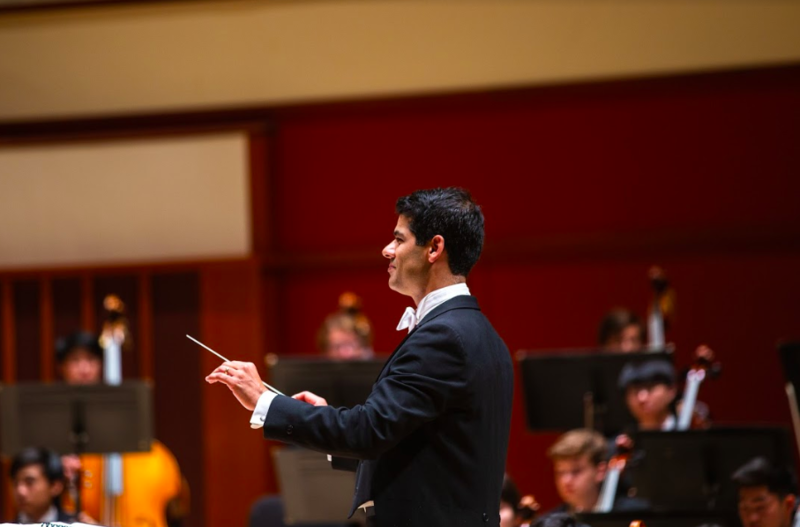 Dr. Paul Bhasin serves on the conducting faculty of Emory University. 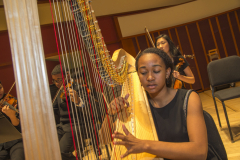 In this capacity, he conducts the Emory University Symphony Orchestra, Emory Youth Symphony Orchestra, Emory Wind Ensemble, and teaches conducting. 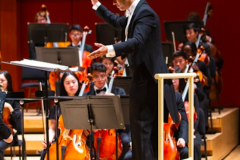 Praised for his “crisp, clear” conducting and “highly expressive” interpretations, Bhasin has led a variety of university, academic, and professional ensembles throughout North America and abroad including recent performances at the Kennedy Center in Washington DC, and throughout the People’s Republic of China. 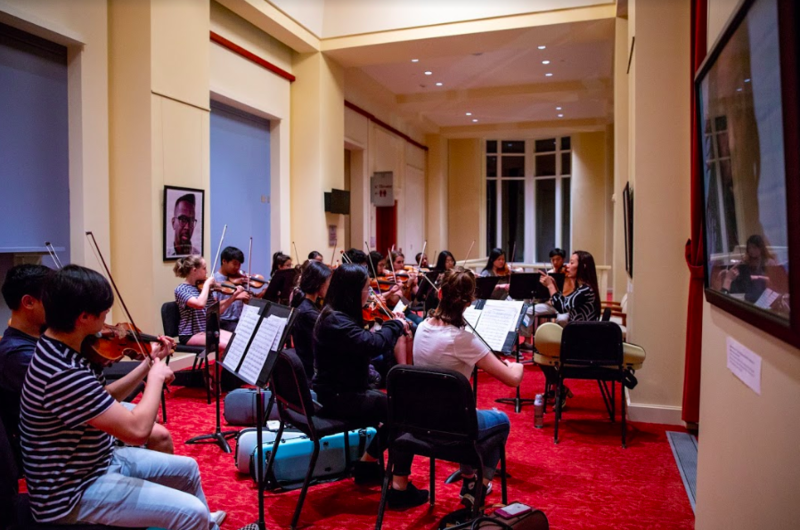 Bhasin’s most recent guest engagements include appearances with the Virginia Symphony Orchestra (including live radio broadcasts of subscription concerts), American Youth Philharmonic, Williamsburg Symphony, New Jersey Youth Symphony, and at Interlochen Arts Academy. 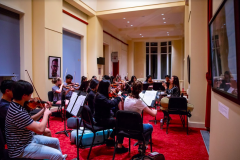 He has also led performances as a guest conductor with members of the Richmond Symphony, National Symphony, Baltimore Symphony, and Kennedy Center Opera Orchestra. 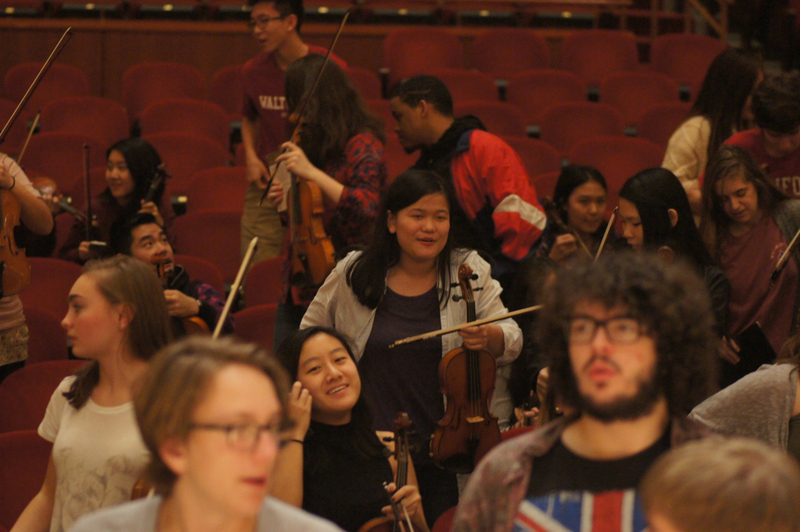 Ensembles under his direction have collaborated with soloists from the San Francisco Symphony, Atlanta Symphony, and Richmond Symphony. 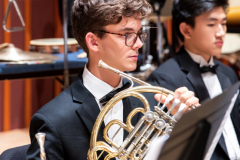 He has led honor orchestras and bands (including at the All-State level) and served as a guest orchestral clinician throughout the United States, and presented at national conferences including the Midwest Orchestra Clinic and the National Music Teachers Association Conference. 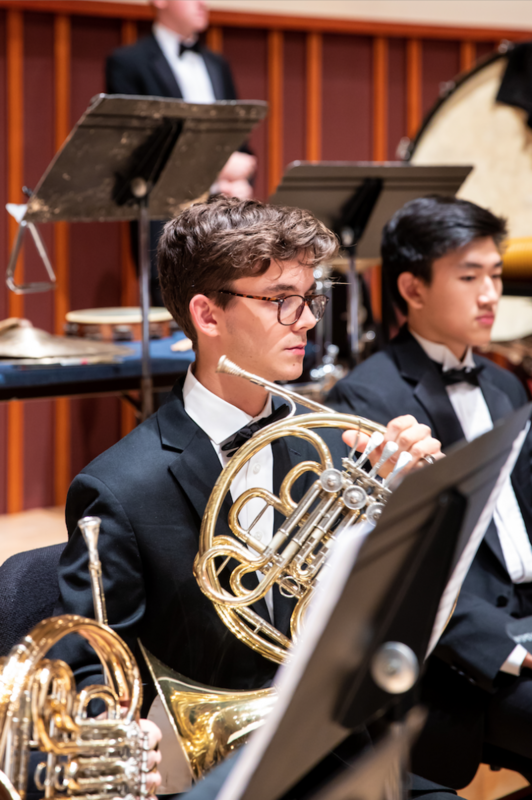 Bhasin is an accomplished orchestral trumpeter, having performed and recorded with the Virginia Symphony and Opera, Columbus (OH) Symphony, New World Symphony, the Civic Orchestra of Chicago, and at the music festivals of Aspen, Tanglewood, and Ravinia. 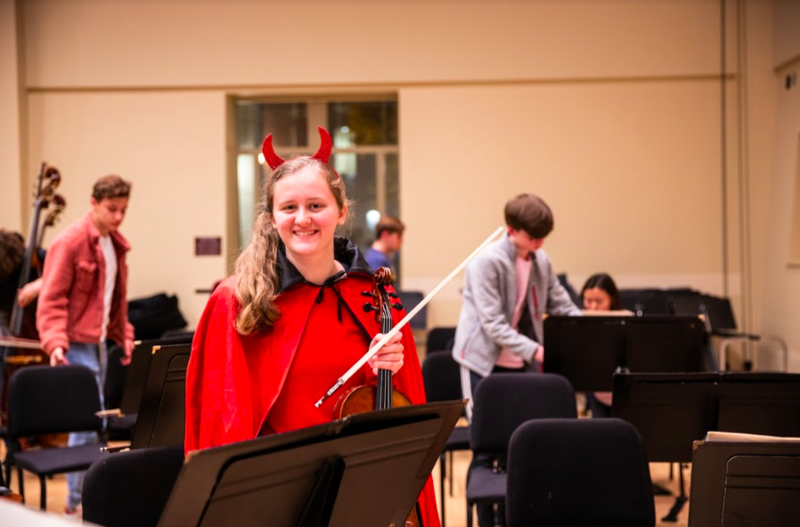 With these institutions he has performed under the batons of Michael Tilson Thomas, James Conlon, James DePriest, Leonard Slatkin, Andreas Delfs, and Gustav Meier and participated in the conductor training program at Aspen under David Zinman and Murry Sidlin. A committed trumpet teacher, his students have attended prestigious conservatories and music schools and have won first prize at major competitions including the National Trumpet Competition. 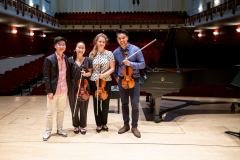 He has been featured as a soloist on National Public Radio, Detroit PBS-TV, the International Computer Music Conference, at the Chautauqua Music Festival, and at the International Dvořák Festival (Prague, CZ). Bhasin has recorded as trumpeter and conductor for both the Centaur and Interscope record labels, and his 2015 Centaur Records release features the music of Brian Hulse and is performed by principal soloists from the Richmond and Virginia Symphonies. 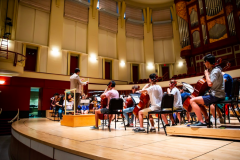 Two forthcoming conducting projects include a CD of concerti featuring Atlanta Symphony principal musicians (Centaur) with Emory musicians and a CD of brass/organ chamber works featuring performance faculty from Indiana University, the University of Georgia, and Auburn University. 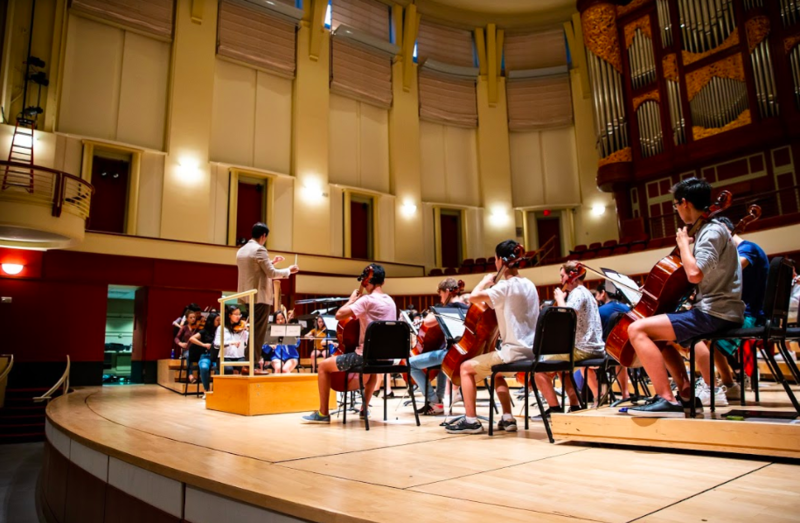 An avid proponent of chamber music, Bhasin serves as Orchestra Conductor of the Atlanta Chamber Music Festival where he holds the Joni Winston Conductor Faculty Chair. He studied chamber music under the Bogomolny Award-winning American Brass Quintet (Aspen/Juilliard), the Naumberg Award-winning Empire Brass (Tanglewood), and has performed as a chamber musician on WFMT in Chicago, Detroit PBS-TV, at universities and festivals across the USA, and with members of the Metropolitan Opera Orchestra in New York. 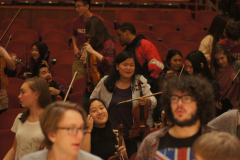 He has conducted and recorded with chamber ensembles composed of San Francisco, Richmond, Virginia, St. Louis, and National Symphony musicians. 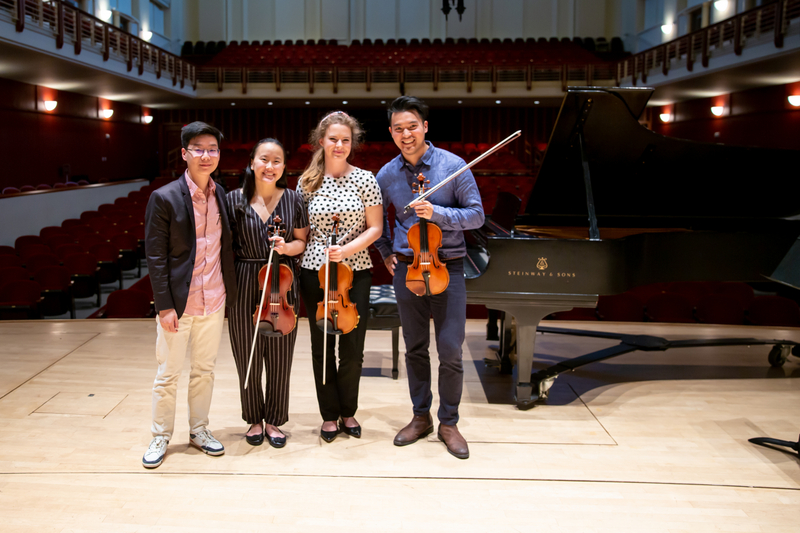 His chamber music program development experience includes work with Chicago’s Music Integration Project, the Chicago Symphony Orchestra’s Musicorps program, and residency development with both the Grammy-winning sextet eighth blackbird and Percussion Group Cincinnati. At Emory University, with percussion faculty Scott Pollard and Mark Yancich, Bhasin founded the annual Emory Percussion Symposium whose chamber music programs feature artist faculty Andres Forero (Broadway’s Hamilton), She-e Wu (Northwestern University), Jonathan Ovalle (University of Michigan), and Joe Petrasek (Atlanta Symphony). 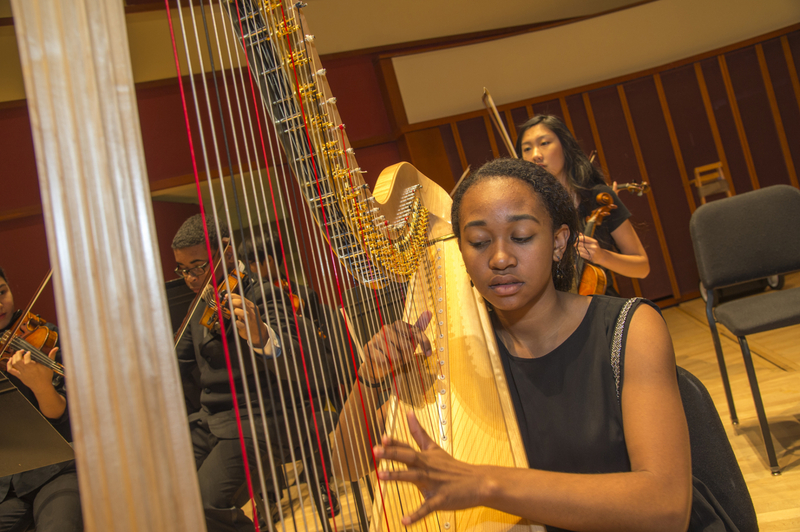 In 2016 with the Emory Youth Symphony Orchestra, Bhasin initiated an annual chamber music component which has expanded to include wind, percussion, and mixed string/wind programming. Bhasin’s transcriptions and arrangements are published by Balquhidder Music and have been performed and commissioned in the US and abroad by the St. Louis Opera Theater, Grand Tetons Festival Orchestra, La Unió Musical l’Horta de Sant Marcel·lí (Valencia, Spain) and the Washington Symphonic Brass (DC). In 2015, Bhasin composed and conducted the orchestral score to 9:23 Films’ motion picture, Hogtown (award winner at the Berlin, Los Angeles and Nashville International Black Film Festivals, and Cannes Festival Marché du Film). Michael Phillips of the Chicago Sun-Times writes that the film was “…scored beautifully by composer Paul Bhasin…better than the entirety of the last few features I’ve seen, period.” In 2016, reviewer Ben Kenigsberg of the New York Times named the film a “Critic’s Pick” and one of the “Top 10 Films of 2016.” Bhasin’s previous appointments include positions at the University of Wisconsin-Green Bay, Triton College, and The College of William & Mary. He received his musical education from Northwestern University, the University of Michigan, and the University of Wisconsin-Madison.